At Tekniques we understand it's all about those little extras that turn a typical salon visit into a truly Memorable Experience. From simple things like having your coffee or tea served while waiting for your color to process, to receiving a complimentary paraffin hand treatment when receiving a color service, we know that you will leave us feeling wonderful. Enjoy the unique salon ambience created by blending classic with contemporary design. 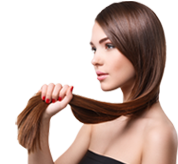 Located conveniently on Route 18, East Brunswick, Tekniques Salon brings the style, services, and cutting edge techniques and technology one would expect from a high end City salon to your area and all at affordable prices. Our staff of highly skilled professionals excels within their respective areas of expertise and recognizes that great customer service can only be determined by the client. So we never stop looking for ways take it to the next level. 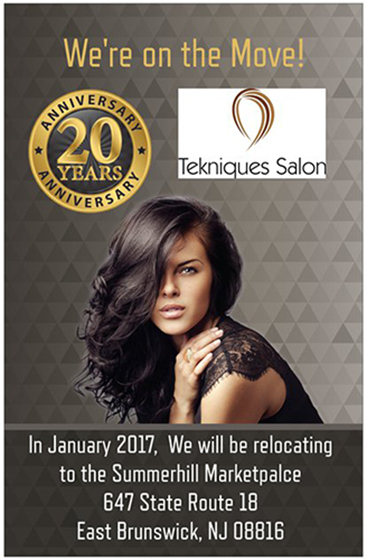 Give us a call or book an appointment online today to experience what Tekniques can do exclusively for you.